William has always loved performing, whether it be playing the saxophone in jazz band, or acting on stage. They are a strong believer in social change through art and aspire to create responsible, socially conscious theatre as a living. William majored in English and Theatre at Pomona College in California and studied acting in London. They are so excited to be a part of the SA@S Alumni Company and wants to thank all of the people who have helped them reach this point! 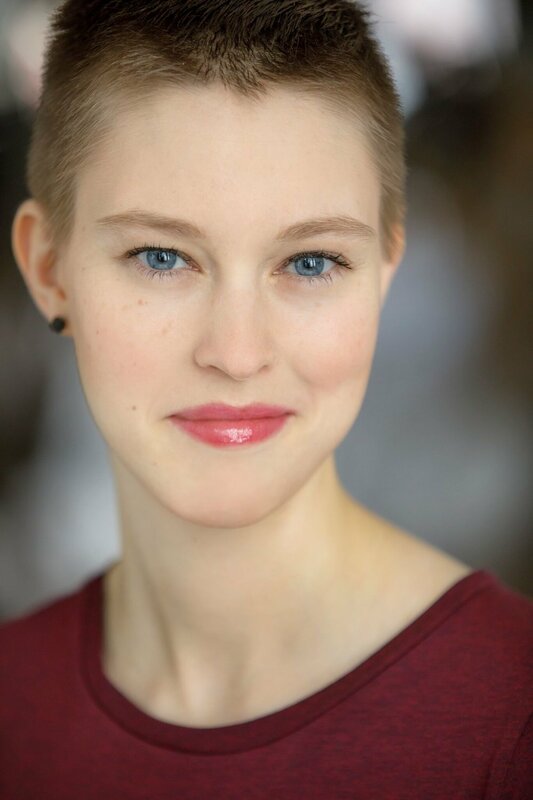 Meaghan Jannette Johnson is from Aurora, Colorado and graduates from SUNY Purchase with a BFA in Acting in May 2018. She fell in love with the Rooney family and the town of Stratford, so she couldn’t resist coming back for another summer. Her first summer in Stratford was with the Rough Magicians, in which she was seen as Juliet and Froth in “Measure for Measure” and Caliban in “The Tempest.” Meaghan is incredibly excited to tackle this huge, four-person, collaborative behemoth of a project and can’t wait to disprove the opinion that this play is against female empowerment. She aims to bring joy, music, and imagination to all the stories she tells wherever she goes. Shana Laski is excited to be back with SA@S, and even more excited to be touring for her very first time. She is a junior at Wesleyan University with a double major in Theater and American Studies, and spends her time doing shows both in the department and with the student run theater group, Second Stage. Shana can't wait to be sharing the stage with 3 of her 2017 Rough Magic ensemble-mates, and looks forward to diving headlong into the troublesome comedy of Taming of the Shrew. Just barely a Leo, Oliver Shoulson was born on July 28, 1998 in Miami, Florida, though he is now a resident of Newton, Massachusetts. In sixth grade he auditioned for a community production of Disney’s Aristocats in which he portrayed Slick Cat, and thereupon decided to devote his life to the stage. Oliver is a sophomore at Yale, where he double majors in Linguistics and Theater Studies, sings in an a cappella group, and mansplains professionally as a campus tour guide. He was a member of the Shakespeare Academy at Stratford’s 2017 ensemble in which he portrayed Ariel in The Tempest and a Friar in Measure for Measure, and he is beyond excited to be back as a member of the Alumni Company! Other recent favorite credits include Macbeth (Macduff), Romeo and Juliet (Romeo), Grease (Danny), The Visit (Alfred Ill), and the first all-undergraduate production of Fun Home. Oliver is not a member of Actors Equity Association but would totally join if they let him.